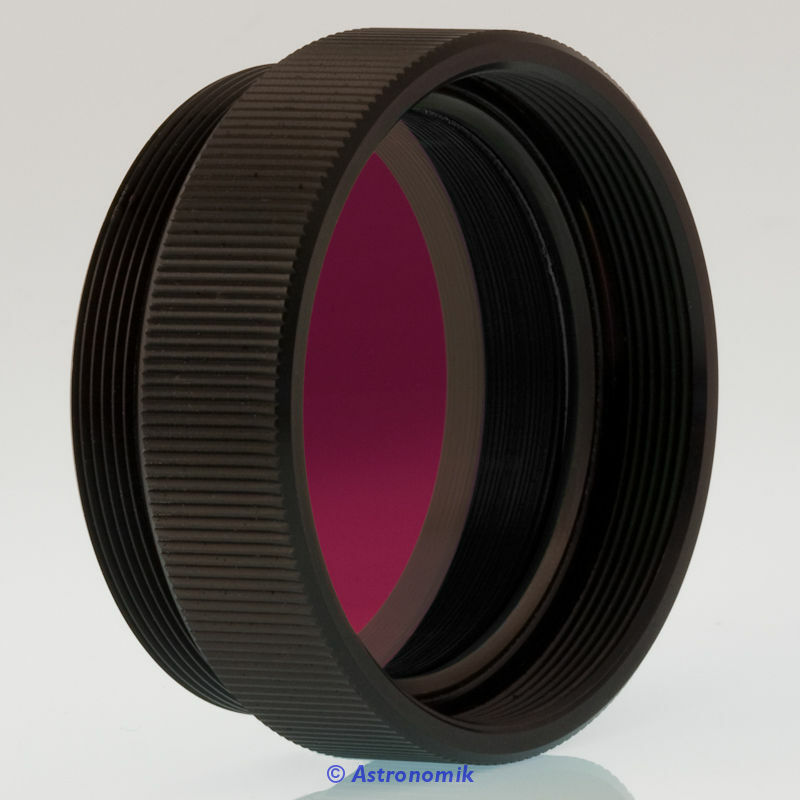 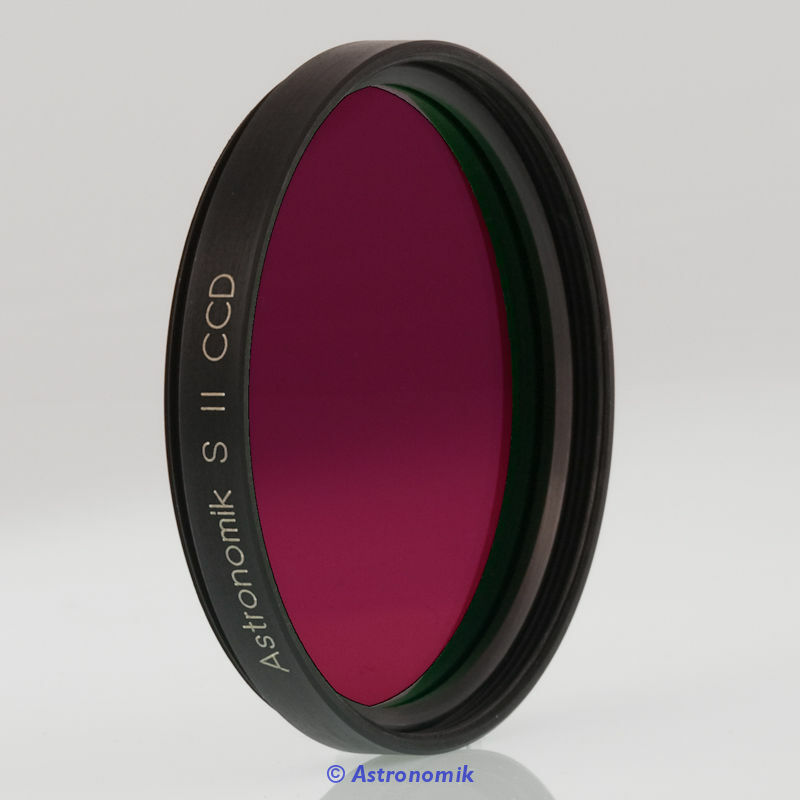 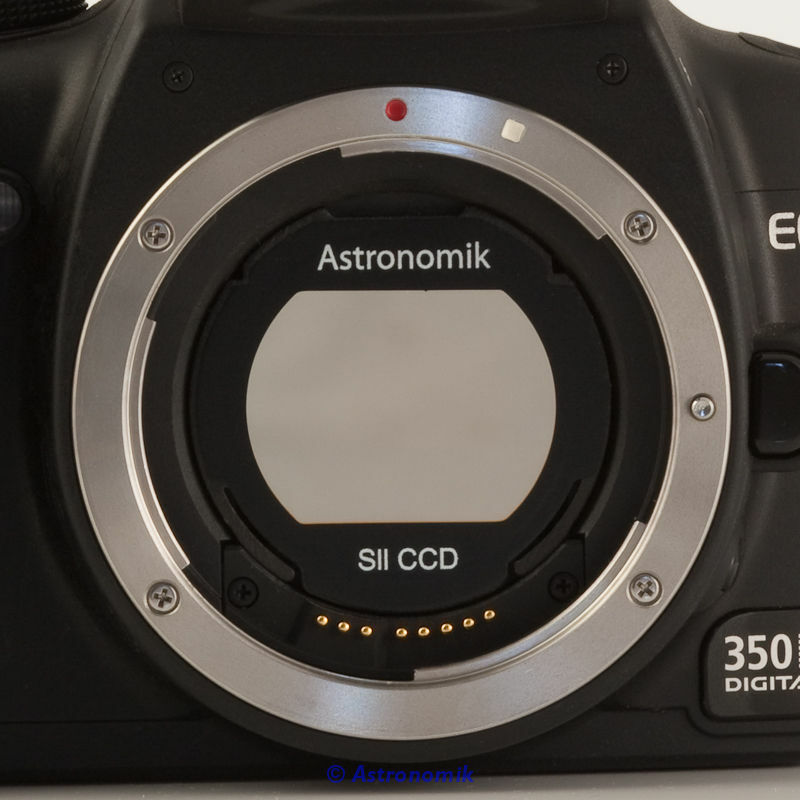 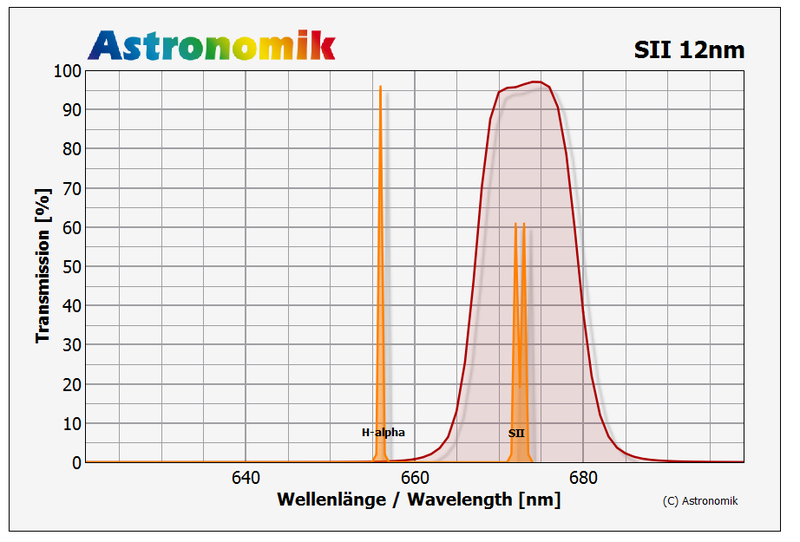 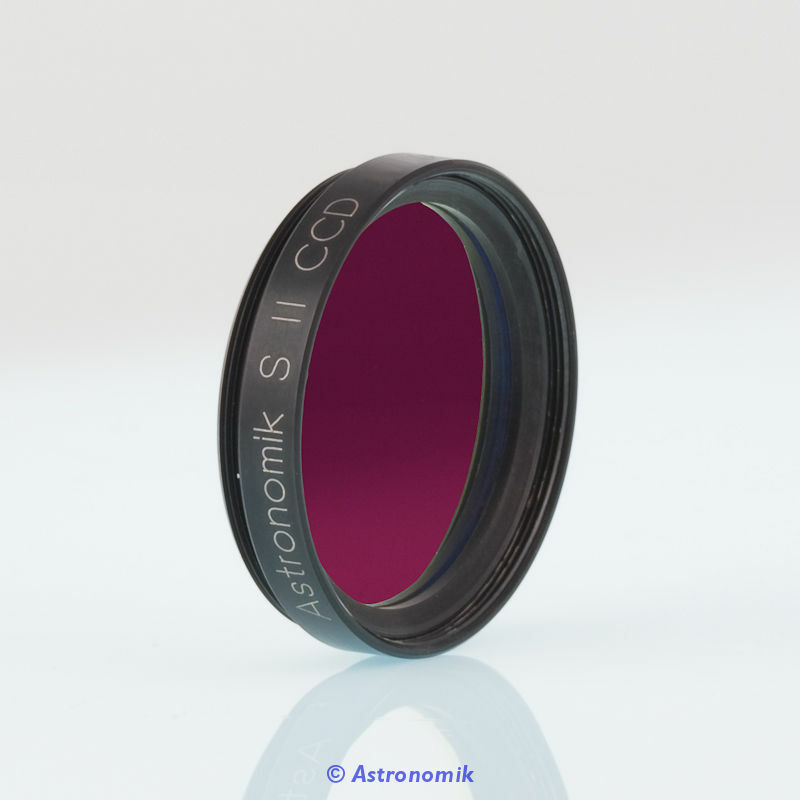 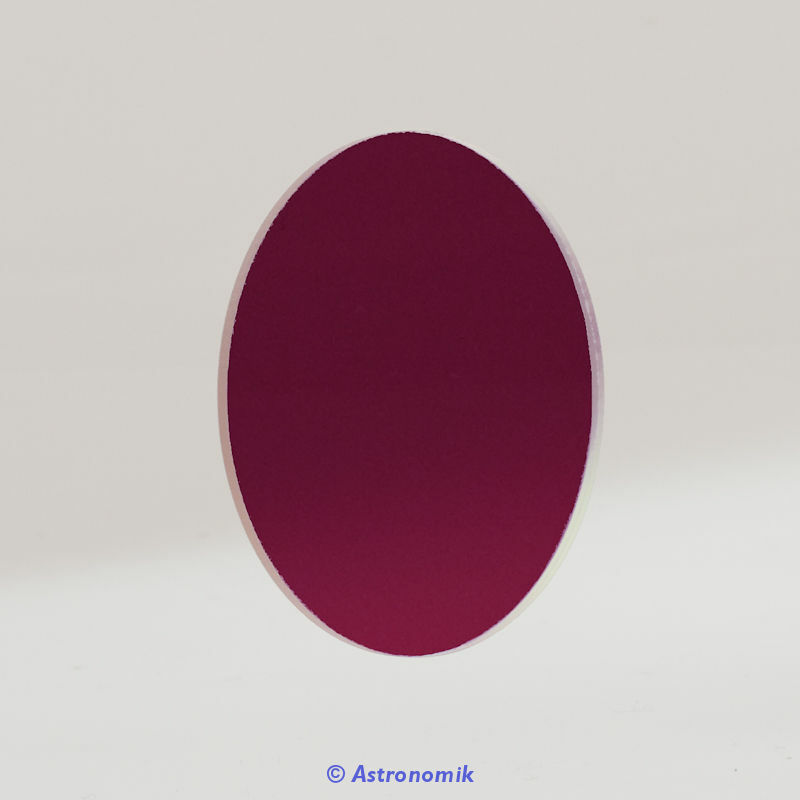 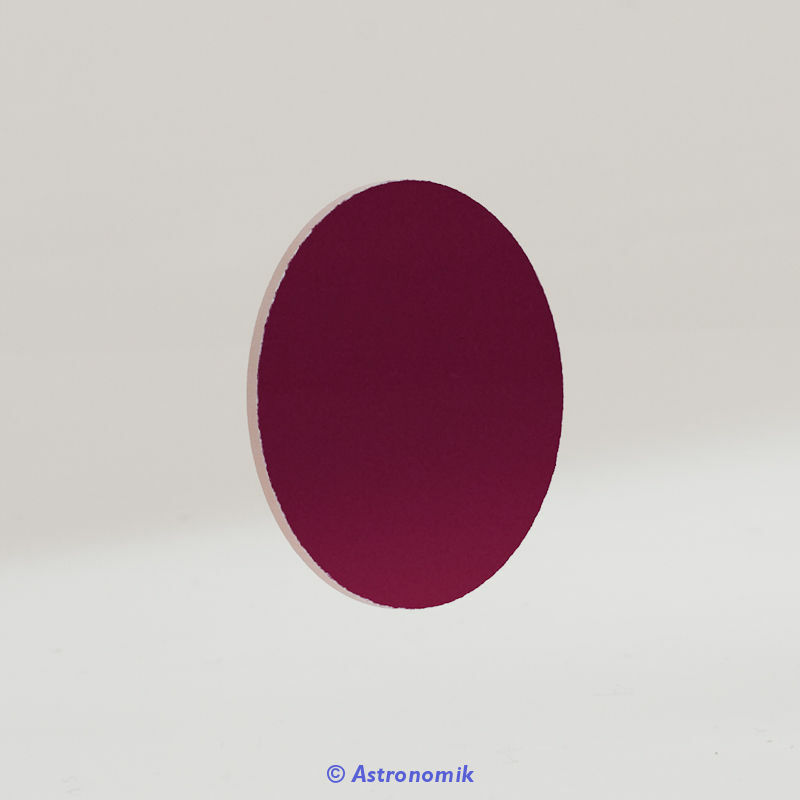 This SII Filter is suitable for imaging of SII-regions from observation sites with light pollution and from dark sites as well. 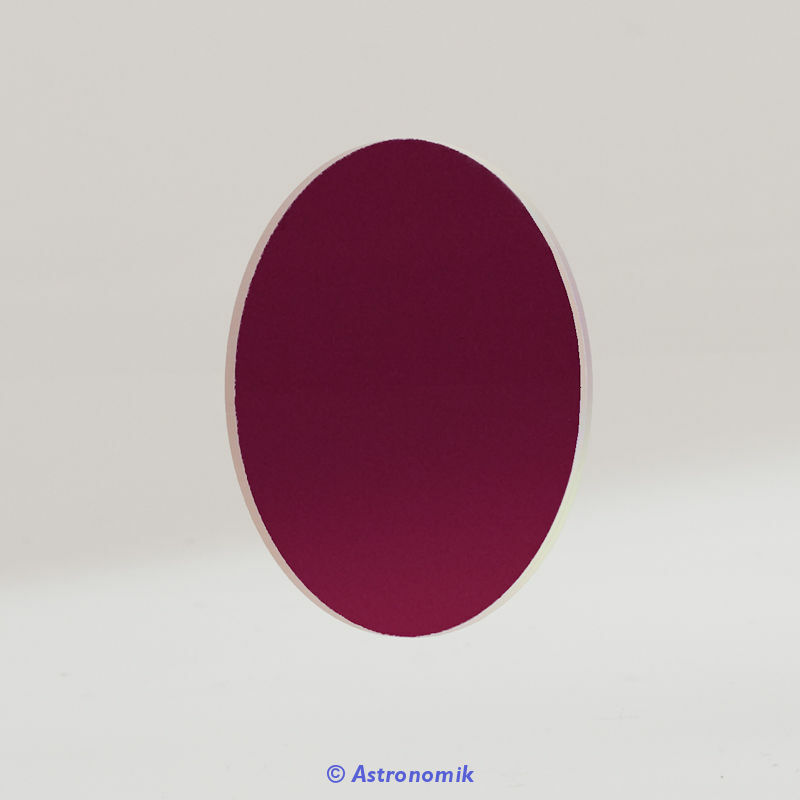 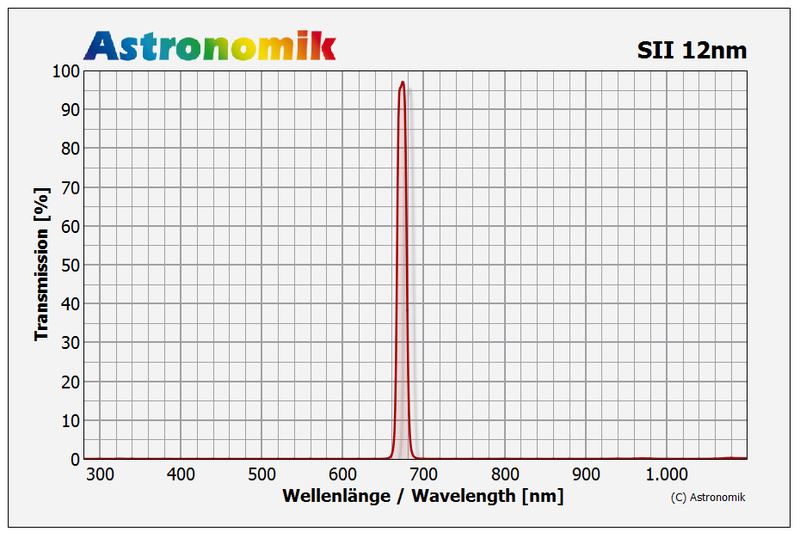 The contrast between an object glowing at 672nm and the background is increased enormous! 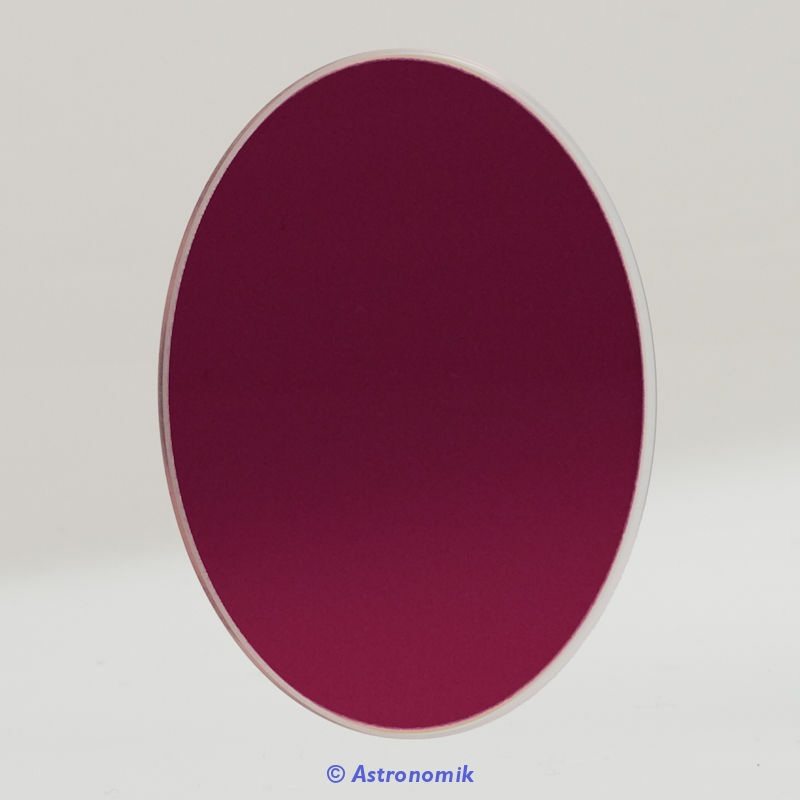 The filter blocks all unwanted light from artifical light-pollution, natural airglow and moonlight. 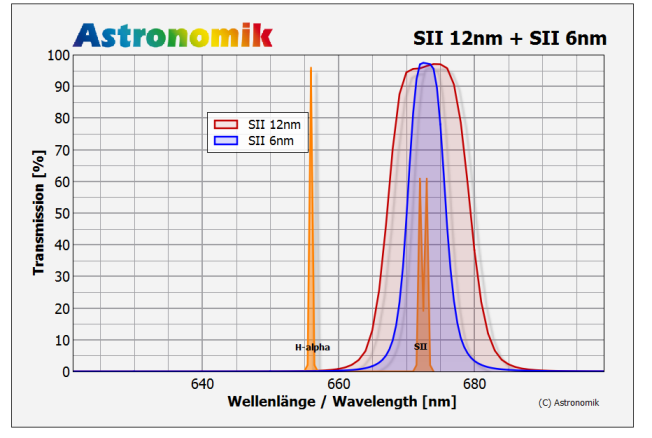 Especially light from High- and Low-Pressure Sodium and mercury lights and all lines of natural airglow are 100% blocked. 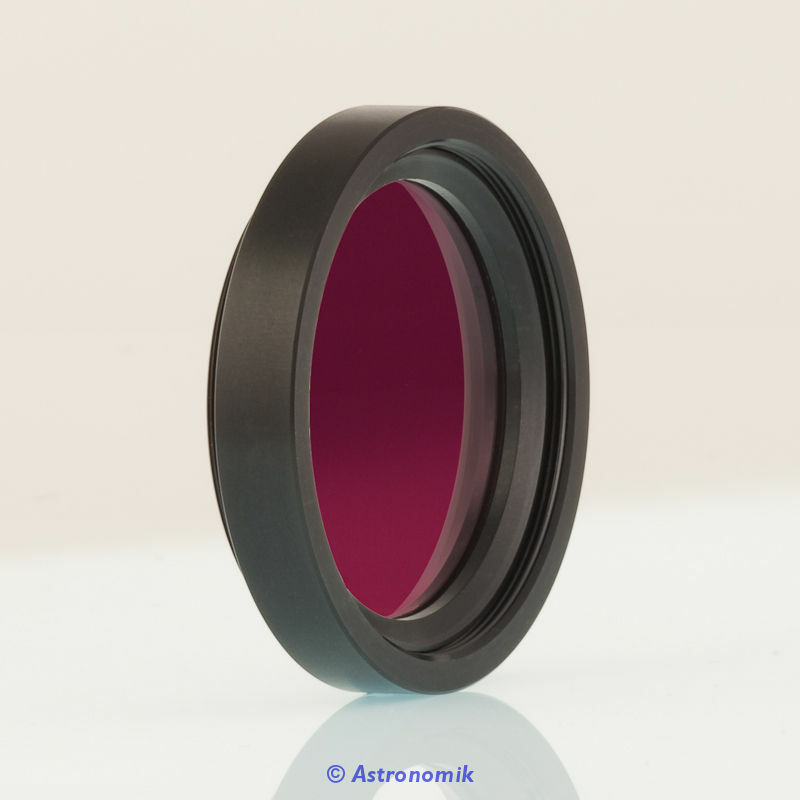 The filter increases the contrast between the sky-background and objects glowing at the SII line at 672nm.